Every time I turn on the news or open a newspaper, there it is: “Deflategate,” the latest controversy involving a sports team. In this case, it’s the New England Patriots who are accused of deflating their footballs to a percentage that quarterback Tom Brady likes, but not in accordance with the National Football League rules. But since I don’t really care about this controversy or even football in general, I thought I would apply it to food, specifically hot dogs. Pigskin, right? Ah, but those of us who cook Super Bowl food don’t bat an eye. We just go with the flow and stop deflating the issue. 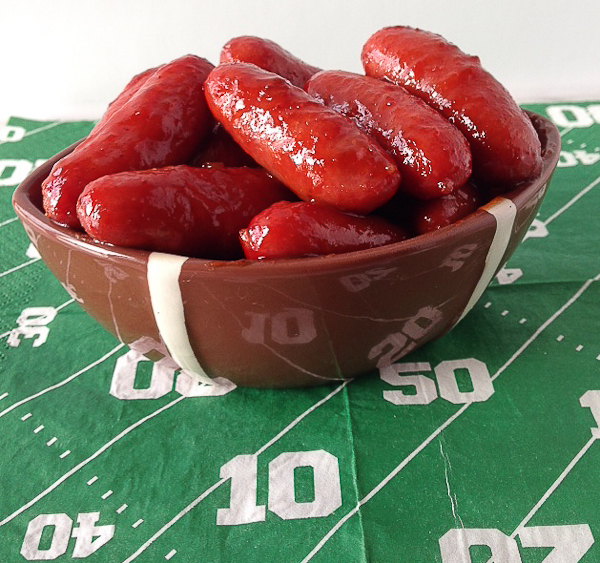 We take the little weiners, glaze them with some yummy stuff, and serve them hot with toothpicks. 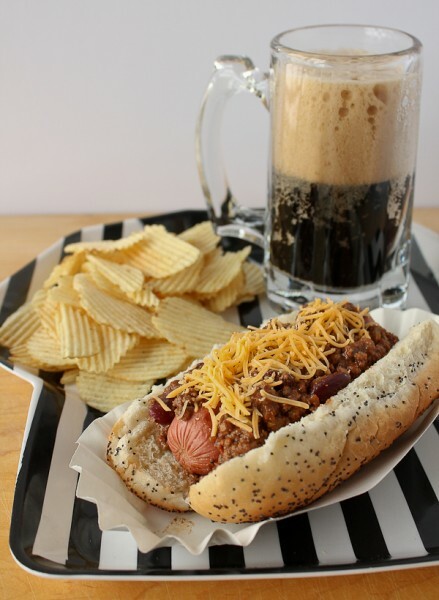 Then we take the big dogs and make chili dogs and serve them with some potato chips and beer. There you go. 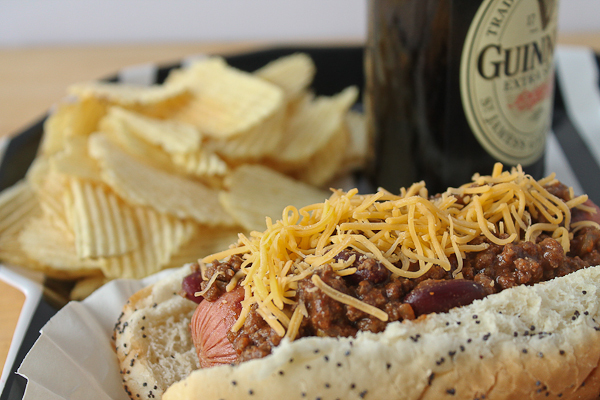 Super Bowl food that many will love to devour on game day. So which are you? 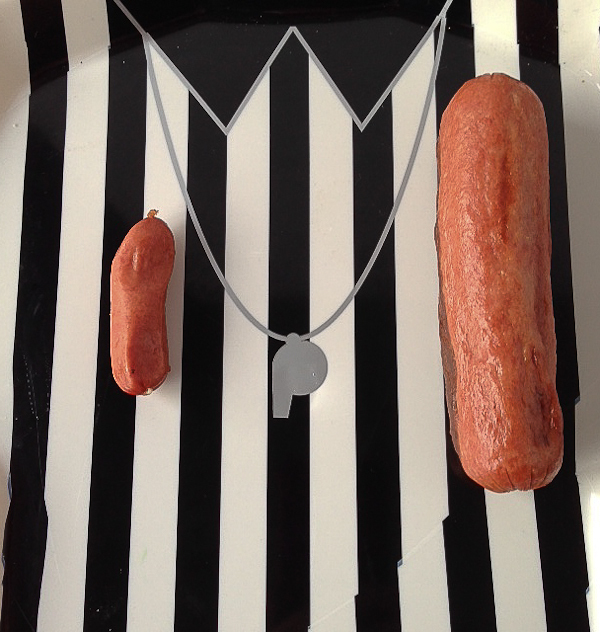 A little weiner or a big dog? Melt the butter in a skillet over medium heat. Add onion and saute until onion is softened. Add all remaining ingredients and mix well to combine. Simmer for about 10 minutes, stirring frequently, until weiners are glazed and very hot. Serve with toothpicks. Let the Super Bowl Food Begin! Cute! I enjoyed your pun (or should I say ‘punt’) on the deflategate controversy. Go Hawks!